The Mega Millions jackpot keeps rolling. 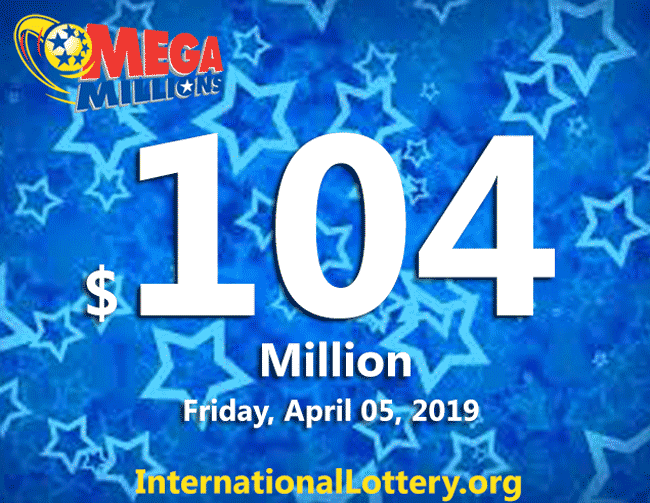 The prize for next Friday’s drawing is an estimated $104 million (cash option: $63.9 million) after no ticket matched all six numbers on April 02. There were, 13 winners who all managed to guess four of the winning numbers and the mega ball, therefore they won $10,000. Besides, there were 2 lucky players recieved $30.000 with Megaplier 3X. 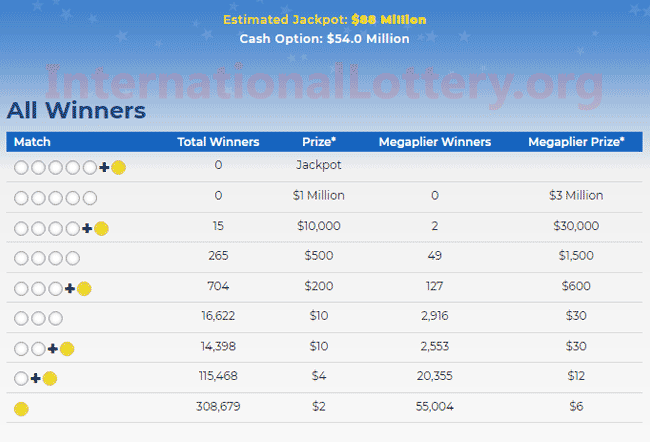 The next Mega Millions draw will be on Friday, April 05, 2019.